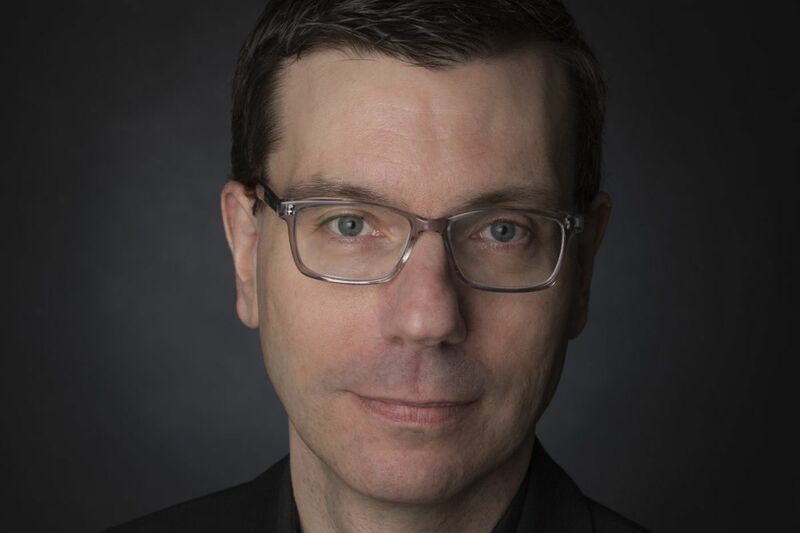 A composer and guitarist with a background as a scholar in contemporary music will be the next artistic director of the Network for New Music. Thomas Schuttenhelm will take over from Linda Reichert, who cofounded Network in 1984 and who will retire at the end of the 2017-18 season. Currently based in Hartford, Conn., where he has several academic and artistic affiliations, Schuttenhelm said he aimed to relocate to Philadelphia. He expects to maintain Network's traditional focus on living composers and contemporary music, and will spend next season learning about the organization. "I guess I would say I am not going to change anything, but build on some of Network's strengths," said Schuttenhelm, who declined to give his age. "I come from the ranks of a being a performer myself, so I am looking forward to learning about the musicians that play with Network. I would consider myself a curator and coach. I like to find the pieces and match them to the strengths of the performers, and I think I want to program music that performers desire, to create a meaningful experience." He is an artistic adviser to the Hartford Independent Chamber Orchestra; an associate faculty member and director of the concert series at Quinnipiac University; and an artist instructor in music theory, history, and guitar at the University of Hartford. Left to right, from the Network for New Music: Linda Reichert, artistic director; Jan Krzywicki, conductor; and Marshall Taylor, saxophone. Schuttenhelm's "personal mission" was a close match to Network for New Music's, said Network board chair Patricia Manley. "In addition to his excellent credentials and experience, Thomas impressed all of the Network ensemble musicians and board members with his genuine enthusiasm for promoting the importance and enjoyment of new music," she said. "While there will be no replacement for Linda Reichert and all she has accomplished with Network, we, including Linda, are excited to have found a worthy successor to lead the group into its next chapter." Schuttenhelm has a 2005 doctorate in composition with a minor in guitar from the University of Hartford's Hartt School, where he studied with James Sellars and Ingram Marshall, and a master's degree in composition from Hartt. He earned a bachelor's degree in guitar in 1992 from the College of Saint Rose in Albany, N.Y., close to where he grew up. Network's new artistic director has done research on and written about composer Michael Tippett and has been working as an archivist and curator for the estate of Sellars, who died in 2017. "James had a profound influence on my understanding of style, and his knowledge of American music and tradition [performance and composition] had a lasting impact on me," he said. Schuttenhelm has lived in Philadelphia before — in 2011-12, when he was engaged to play new works by composers at the University of Pennsylvania. "I gave a couple of recitals that year, got to know some wonderful composers, and had always wanted to come back to Philadelphia," he said. He is slated to start work June 1.